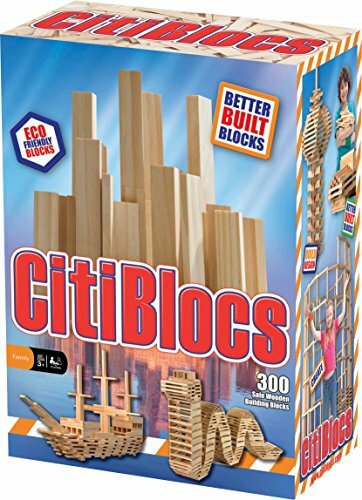 Building with blocks is a must for children, and with this set of CitiBlocs it looks like you could build some serious towers. I love that the blocks are wooden, and even better that they are created from a renewable forest. 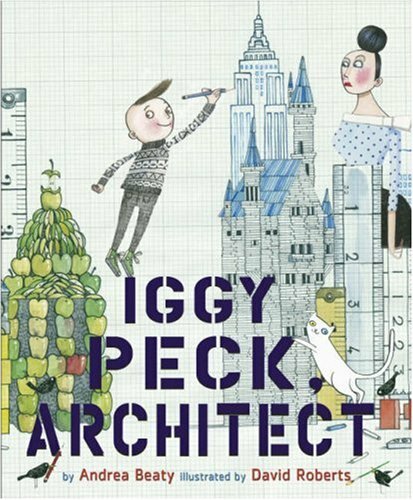 And when paired with the book Iggy Peck, Architect by Andrea Beaty and illustrated by David Roberts, you're sure to get some new creations. I also enjoy these Melissa & Dough Reusable Sticker Pads. Calling them "Stickers" to my preschooler is a little misleading, he didn't understand how they could be taken on and off the page. 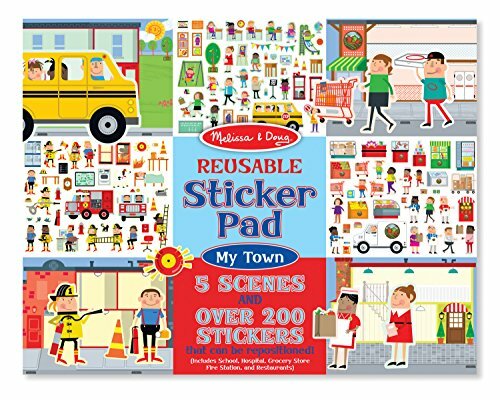 But one of these books will keep him busy playing on his own for a while, even it is just piling all of the stickers on top of each other in one of the scenes. The blocks, book and stickers provide a variety of activities for the child to enjoy!